2649 10th Ct SE - SOLD FOR $245,000!!! Beautiful home with many upgrades i.e. granite slab counters, gutter guards, custom blinds and gas fireplace. Fully fenced backyard with a large patio. Huge master bedroom and bath suite with custom shelving and drawers in the walkin closet. Stainless Refrigerator is included in sale. Only steps away from the nature hiking trail. 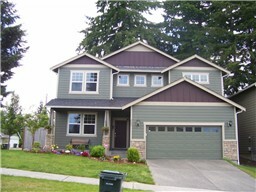 Randy Churchill SOLD this Olympia home for $245,000! !